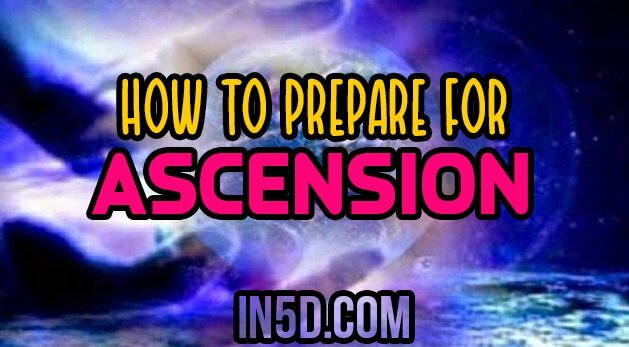 Ascension is coming. Are you ready? Most of Humanity is vibrating at the 3rd Density. Since the year 2000 we’ve been vibrating at the 4th Density, but the time is drawing near that we will be rising to the 5th Density. So how can we prepare ourselves to match this higher frequency? It all begins with modifying our beliefs. We experience life under the illusion that we are separate from each other. Separation is a key aspect for experiencing the 3rd Density. The more we see ourselves as separate individuals, the deeper we are playing in the 3D game of duality. We are in fact one, where one is the all. This is clearly seen and understood by those vibrating in the higher frequencies. Harming another is like harming yourself. Think of it as a tree. Do the branches fight among themselves? Of course they don’t! If you believe yourself to be connected to the rest of humanity, your attitudes and behaviours towards the other will reflect this as they will be tolerant, kinder and more loving. Do unto others as you would have them do unto you; or from the words of Jesus in the Sermon on the Mount : “All things whatsoever ye would that men should do to you, do ye even so to them”; or the Mosaic law commandment: “Whatever is hurtful to you, do not do to any other person.” Why do you think so many cultures have these sayings? Whether in the 3rd or 5th Density, we choose that which we wish to experience. Life doesn’t happen to us as many prefer to believe. In the 3rd Density we don’t see all of the possibilities that we may create for ourselves. Reality in the 3rd Density appears linear, something like a motion picture. We see what is projected before us. But behind the scenes there is an editing room where some scenes are stitched in while others are left out. They exist nonetheless. We are not aware of them from a 3rd Density perspective, and so to us, they don’t appear to exist. But in the 5th Density, we can see all of the possible realities where it looks something like a menu from which we can pick and choose what we wish to experience. It didn’t happen to you, rather, you made it happen. As creators we co-create our realities and our experiences together. In the 3rd Density there is much evil, such as theft, murder, imprisonment, hatred, resentment, etc. It may seem odd for an individual to want to experience being brutally murdered and for the other to desire the experience of imprisonment for this crime. Such is the way in the 3rd Density where there is still much Darkness. These are the parameters under which we have agreed to experience life. But in the 5th Density, there is no such co-creation of this nature, it is a peaceful loving existence for all who choose to vibrate at that level. To break out of the 3rd Density, we must create something other than victimhood for ourselves. This is the way up to the 5th Density. How do you stop feeling like a victim? You can choose to feel or react from the perspective of a victim or choose to react from a different perspective. It’s about how you feel about a situation or how you react to it. In every moment of our lives, we have choices that we can make. We can choose to react from a perspective of peace, harmony, collaboration or cooperation and co-create something else entirely different through these choices. What goes through your mind when you cross a beggar asking for a handout? Observe what goes through your mind. Do you berate him, think of him as a lazy, no good bum who should try to find a job? Are you jealous of your neighbours good fortune, his house, his car and his possessions and that he does not deserve them? These negative thoughts of disgust, resentment and hatred no longer serve you as they will prevent you from ascending and keep you in the 3rd Density world of separation and duality. Be heart centred and process what you experience and encounter from that place. Instead of judging you will feel compassion for the beggar for he has chosen a difficult life for himself. He is co-creating with you by providing you with an opportunity to perceive him from a place of low or high vibration. If you wish to ascend, choose the high road and not the low road. The more often you choose the higher vibration, the easier it is to do so. Everyone has them but to obtain their assistance you must quiet your mind and request their assistance. By centering within your heart you’ve taken an important first step to quiet your mind. Over time you will increasingly process your experiences and thoughts there and not in your mind. Meditation is helpful as is yoga. 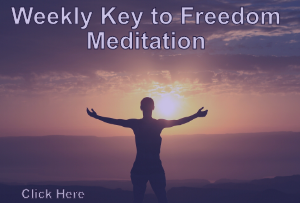 This provides you with further assistance to quiet the mind in your daily lives. Then ask your Guides for assistance. It can be for anything. A great place to start is with points 1 – 4 as this will help you on your journey to ascend. For example they may increase your awareness that you are judging others. Or one day you might stumble across a website that provides you with a meditation that will help you develop your heart centre. And if you quiet your mind, they may even plant a key word in it intended to lead you on to some next step in your life. But if your mind is always chattering, you won’t catch it. Don’t worry because in time you will. If you read this text you were likely drawn to it. You are a Light Worker. It’s a sign that you seek to ascend. Continue your journey. Ask your Guides for more information and they will continue to bring it to you as they just did for you now. To ascend is simple, 51%+ service to others everyday. Everything else is gravy. It’s inspired me to come up with a environmental idea I call “C.U.T.E. : CLEAN UP THE EARTH”. Currently unfunded, more from the heart & a redemption of sorts, for myself…to say thank you to the earth, for providing my family & I. Blessings all, VOTL…. Thank you so much! Being non judgmental is so hard as we are so programmed to compare arent we. We are all 1 caught up in this matrix many who checked out of the game are homeless because they woke up! Wont play to game..amazing souls.. Love and Light! All incarnated twin flames all incarnated twin flames of the ascended master’s are in there last incarnation they will be fully dna activated healed integrated with there INTERDIMENSIONAL higher light body totality selfs eternaly reunited with the totality of each other with their full memories and be able to shapeshift into any incarnation they have ever been and fulfill there divine missions together never separated again they will ascend in this lifetime this is non negotiable for them and 100 percent guaranteed their ascension plan is different from all other incarnated beings all young souls all medium aged souls are not in there last incarnation sorry its true by common sense they have much more to learn for obvious reasons all illuminati all freemasons all skull and bones all cabal all elites all who were apart of dogma medicine’s dogma religions dogma news dogma governments meaning all soldiers all police chemtrials are not in there last incarnation deffinetly for obvious reasons again all malevolent beings all clones all synthetic humans will die and cese to exist this is all non negotiable and common sense for obvious reasons energy knows all souls have energy all souls have there own higher self and there own twin flame higher self and guardian Angels and they will know if you are in your last incarnation or not its not up to you in this lifetime alone its more complex than that all do not have there original memories before incarnation much bigger things at play to decide if one is ready to ascend or not. Wow. I saw myself needing extra work through this. I do always judge the homeless, saying,”You are not disabled in any way, get a job! !” And then I go off on how I always worked and was always successful finding a job. I thought I was vibrating at a higher level. Time to change that, and start seeing things clearer. Maybe now I will say,”I hope his/her path gets easier for them.” I have been making alot of change over the past 10 years. How could I miss that?